For the last 150 years the Ligurian coast has been one of Europe's most popular holiday destinations. The narrow strip between Monaco and Tuscany is over 500 kilometers long, but never more than 35 kilometers wide. The juxtaposition of green mountain slopes and azure-colored water make the region one of the most popular in Italy. At times cliffs drop straight into the sea. 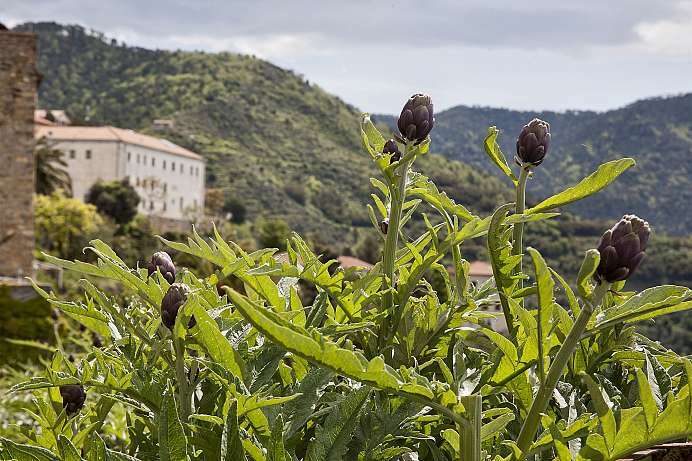 Since the Ligurian Apennines form a protective barrier against cold weather, not only Mediterranean, but also subtropical plants grow on the Riviera. Ligurian olive oil is one of the best of its kind. 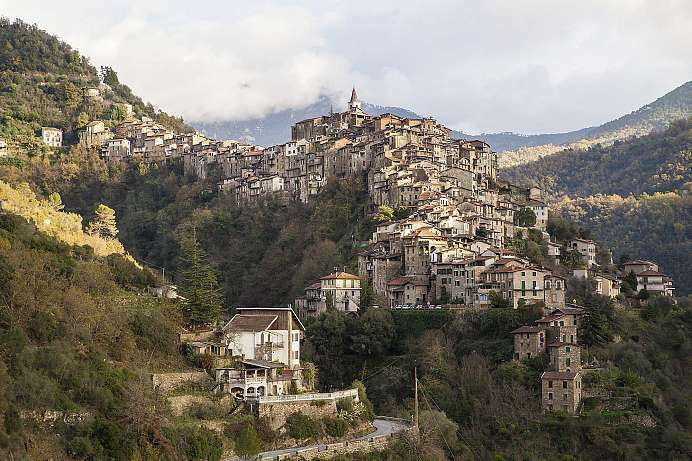 The village dating back to the 9th century is situated on a hill 200 meters above sea level and is an ideal place from where to discover the Maritime Alps. Because of the very narrow streets it is a car-free zone with a parking lot below. 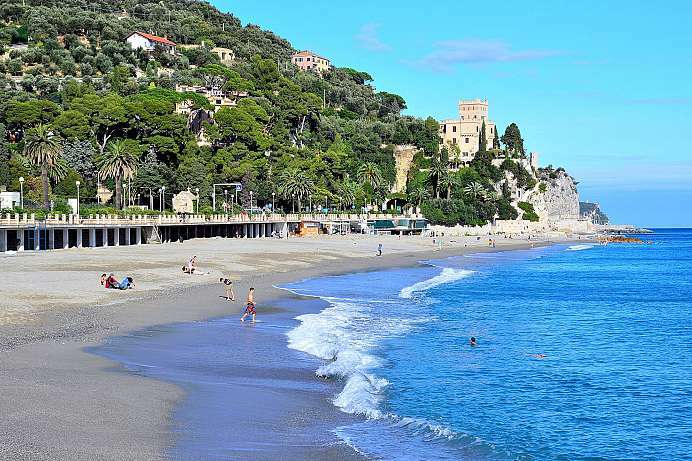 The beach of Ventimiglia or the Cote d'Azur can be visited during a day trips. Those who want to explore the mountains should drive to Rocchetta Nervina and hike up the forested slopes on a narrow mountain path. Waterfalls and pools of crystal clear water are great for cooling down afterwards. 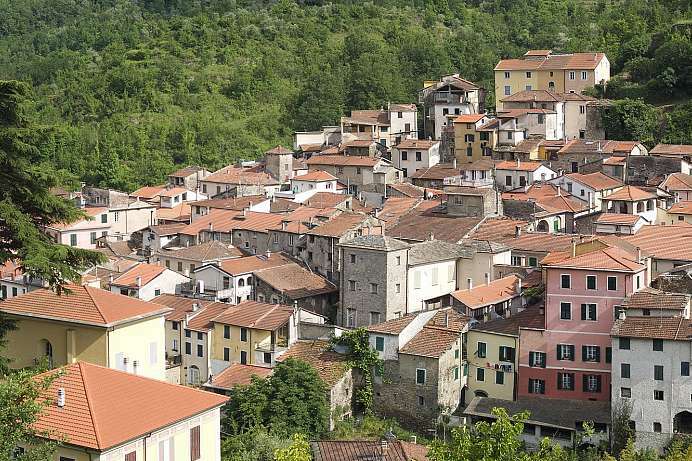 The village dating back to the 9th century is situated in the Valley of Impero which meets the sea near Imperia – an ideal place to explore the Maritime Alps. The beaches of Ventimiglia or the Côte d'Azur can be visited quite easily and beautiful hiking trails into the mountains are to be found upstream. Waterfalls and pools with crystal clear waters are perfect for swimming. Small coastal villages, species-rich nature and the proximity to France offer a variety of options for day-trips. Surrounded by a medieval fortress wall this village from the 11th century is situated on a hill in the hinterland of the Ligurian Riviera. There is a splendid panoramic view of the lush vegetation, the pine and chestnut forests and all the way to the Maritime Alps. Because of the constant winds, the sky is usually cloudless. So it is no coincidence that the most famous son of the town was the astronomer who discovered four of Saturn's moons 200 years ago. The observatory and a sundial at the former comital hunting lodge are a reminder of Gian Domenico Cassini. The largest town on the so-called Palmtree Riviera is also the most developed for tourists. The sandy beach and the old town with many restaurants and cafes lure many of them during the summer months. In the suburbs of Finalpia and Finalborgo, two kilometers inland, things become more serene . Here much of the medieval authenticity has been preserved, including the old city wall with four gates.